"My lighted house arrived today and it looks wonderful! It's just what I wanted for my kitchen. I can tell your products are very well built." "I just received my wholesale order. Thanks for the great customer service and quick ship time." Signing up for our newsletter is simple and well worth it. If you want specials, discounts, and much more sign up today by clicking here. We accept all major credit and debit cards and paypal. Plus checks and money orders. 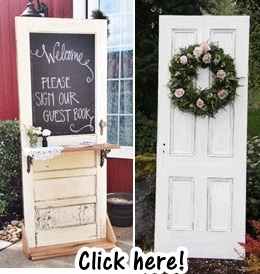 Check out our Old Wooden Doors! Click image below! NEW! 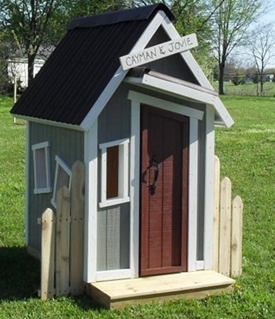 Primitive Crooked Playhouses For Kids! 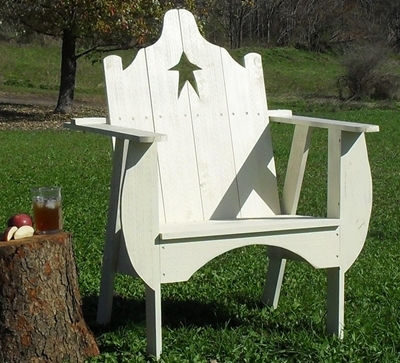 Our primitive outdoor furniture is perfect for the patio, yard and porch. 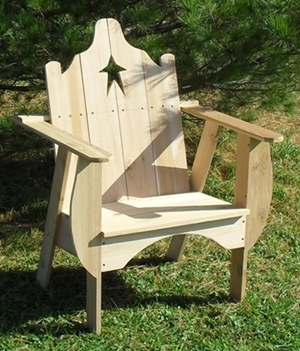 Our outdoor furniture is made from cedar wood and is available in natural or any of our distressed paint finishes. Images below are pictured in Buttermilk and Natural Cedar. Outdoor Primitive Chairs measure 33" long x 33" Wide x 46" high.